When I was in my 20s, I made the decision to stop talking to God for a year. That year of not praying turned into ten. I thought I could figure things out for myself, but I still felt lacking. After I got married, I felt a stirring to go back to church. That started a slow process of looking for what faith in God might mean for me. In spite of a lot of doubts and trials, I prayed, and I began to see God at work in my life. But deep down, I realized I still didn’t fully trust that He had the best in mind for me. How could a God who lets terrible things happen in this sinful world really be someone I could trust? Slowly I did start to hand over parts of my life to Him. After two months of praying that prayer, I discovered some devastating secrets my husband had kept from me. At that moment I felt God speak to me: Will you trust Me fully now? With my whole heart I said, “Yes, Lord. I give You this whole mess.” And He didn’t let me down. 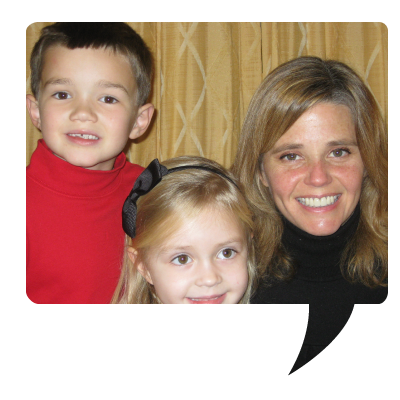 Though my spouse left me and my two children, God never left us. I’ve continued to reach out and trust God, and He’s provided everything I was missing on my own: strength, joy, and hope. I still have some areas I’m working to hand over to Him—but this journey of trusting Him fully over these past three years has been filled with freedom and joy. Never underestimate the power of your story! Telling our stories helps others to know us better and gives them a real-life picture of what it looks like to personally experience God’s grace—telling them how being a Christian is not about what we do, but what God did for us. 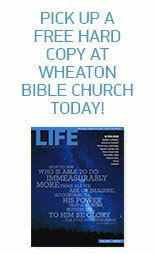 Visit our Stories page at wheatonbible.org/Stories and share your story of how God has changed/is changing your life! This entry was posted on May 29, 2012 by Wheaton Bible Church in My Story, Summer 2012 and tagged divorce, faith, hope, joy, Mom, prayer, story, trust.